Sweet pineapple and banana blend together to create a creamy, smooth, cold and nutritious treat! 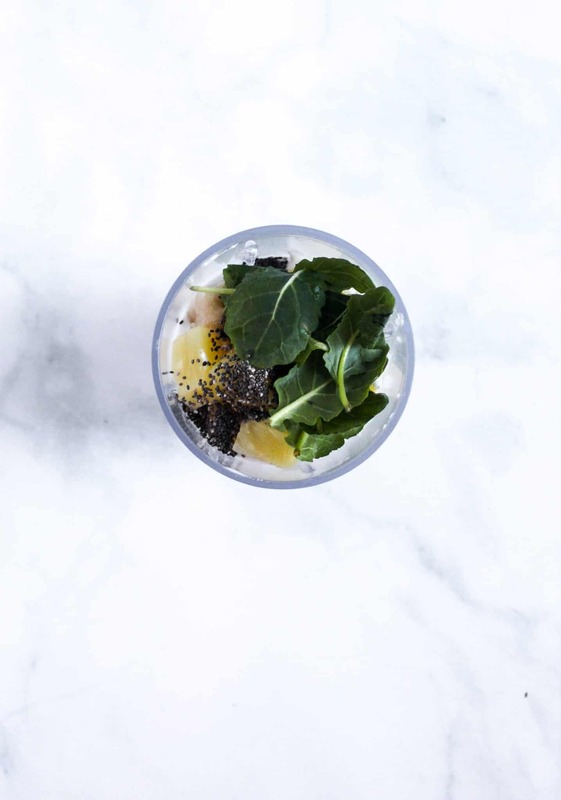 This Pineapple Coconut Smoothie is the perfect way to start your day. Pin Pineapple Coconut Smoothie Here! 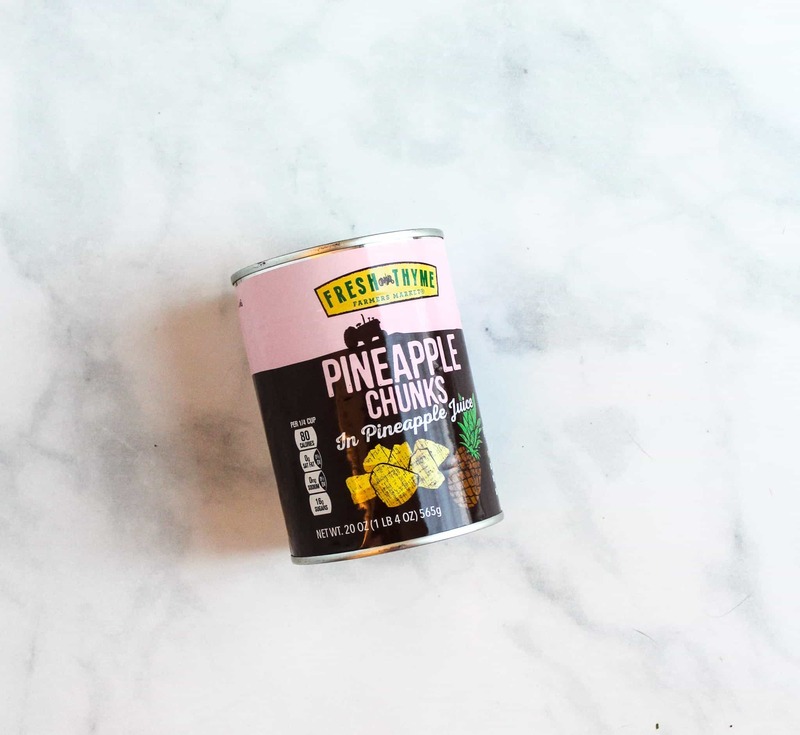 Last week on Facebook and Instagram I asked what canned foods you had on hand, and pineapple was not only at the top of the list BUT it was something that you weren’t quite sure how to use! Coconut milk was also at the top of the list, and I happened to have a partial can on hand so in the season of Tidying Up (anyone else watching the Marie Kondo Netflix series on tidying?!) I wanted to use the food I had and needed to get rid of. 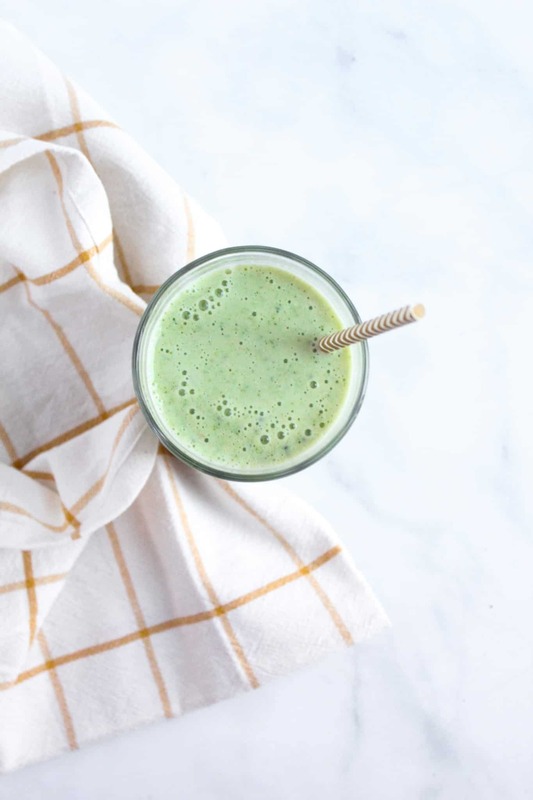 This smoothie is very satisfying, subtly sweet and has zero added sugar (<—bonus!). I also tossed a handful of greens in there because you really can’t taste them and they add SO many vitamins and minerals. I’ll be honest in saying it has been anything BUT smoothie weather here in Indiana, but this Pineapple Coconut Smoothie still hits the spot. Pineapple: I chose to use canned, but you could also use fresh or frozen. Pineapple contains an enzyme called bromelain, which helps the body digest proteins! It’s also packed with vitamin C, manganese and other antioxidants. Canned coconut milk: I used the “lite” version, and try to stick with options that contain only coconut milk and water as the ingredients. Banana: this makes the smoothie SO creamy and also gives the body a dose of potassium. Chia seeds: I like to think of these as “nutrition sprinkles.” They don’t add a ton of flavor, but chia seeds are high in fiber, omega 3 fatty acids, magnesium calcium and a ton of other vitamins and minerals. 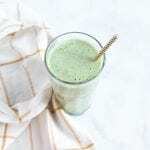 Protein powder or plain Greek yogurt: this gives the smoothie a protein boost so it has more staying power and is a more complete meal component. These ingredients also increase the creaminess factor. 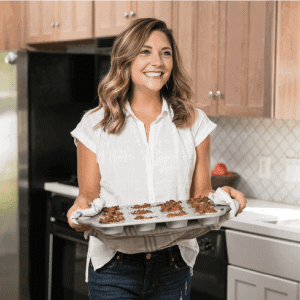 This recipe is naturally gluten free and can easily be dairy free if you choose a dairy free protein powder or yogurt. The pineapple is served in low FODMAP amounts. Coconut milk is low FODMAP in 1/4 cup serving and has a yellow light in a half cup serving. Something to keep in mind if you are completing the elimination phase of the low FODMAP diet. More details can be found on the Monash University App. 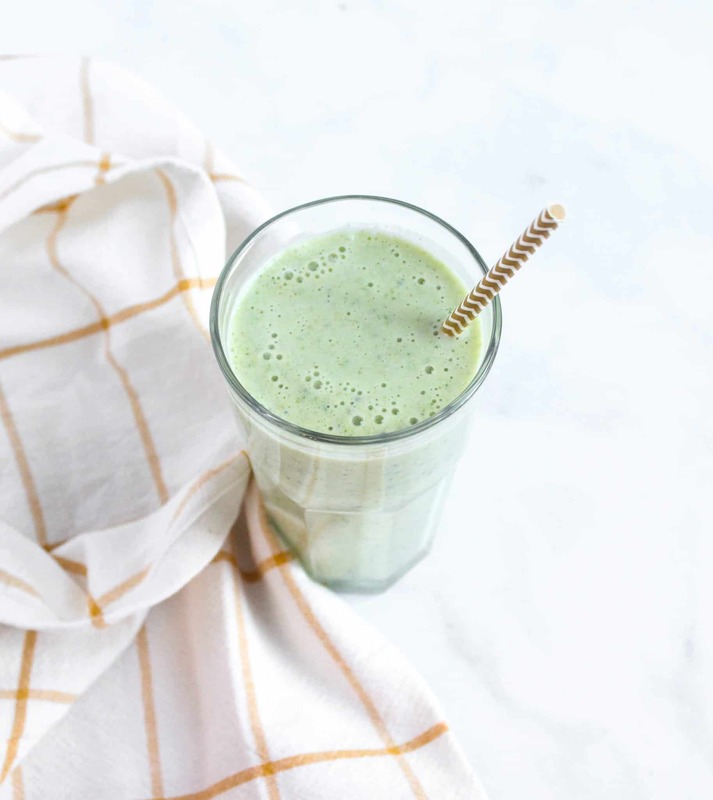 I hope you tidy up your pantry and give this smoothie a try!! 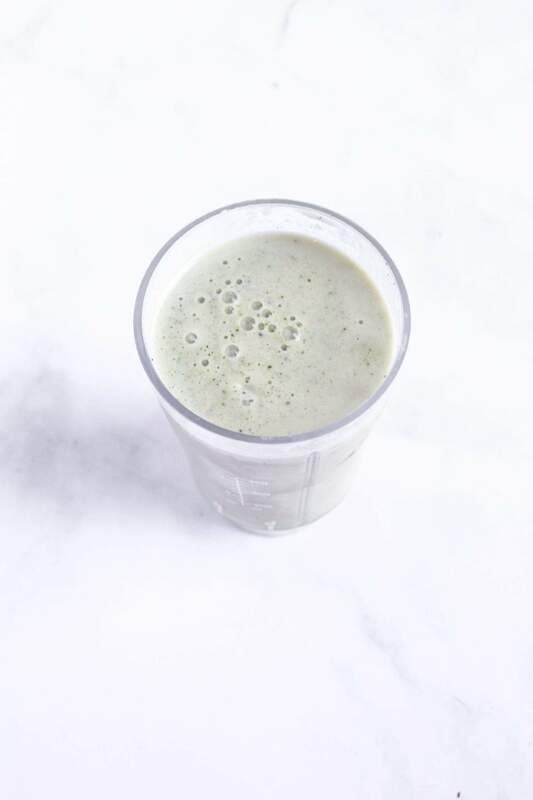 Sweet pineapple and banana blend together to create a creamy, smooth, cold and nutritious treat! Blend all ingredients in the blender until smooth and enjoy! Nutrition was calculated with pineapple juice and plain, nonfat Greek yogurt. Why weren’t the greens listed in the recipe? My mistake! The recipe has been edited 🙂 Thank you!